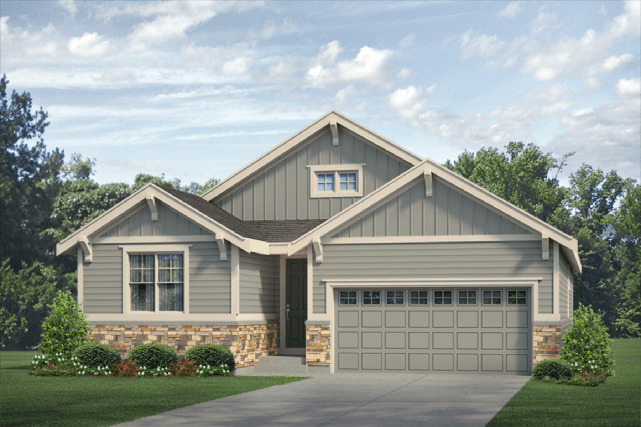 Pleasant Valley is offering new homes in Boulder County, conveniently located in Longmont. Pleasant Valley is a beautiful, existing community with mature landscaping and sidewalks meandering throughout the community. Longmont is a diverse, welcoming city, which allows for an easy transition into becoming a part of the community and making lasting connections. Fellowship can be found by participating in city events, diving into the culture and traditions of Longmont or enjoying all that Longmont offers. You can hike the St. Vrain Greenway or enjoy the view of Longs Peak from Golden Ponds. Longmont has over 1,500 acres of open space and parks and over 300 days of sunshine making it the perfect location for outdoor fanatics. Pleasant Valley is less than 3 miles away from the Ute Creek Golf Club and 5.6 miles from the City of Longmont Twin Peaks Golf Course, which makes it an excellent location for avid golfers and outdoor enthusiasts. From the arts to entertainment to shopping and a plethora of local and chain restaurants, Longmont provides a unique charm and character making it a great city for all ages. Pleasant Valley is part of St. Vrain Valley School District. It is 1.1 miles from Apline Elementary School, less than 2 miles from Timberline and 2.1 miles from Skyline High School. There is also a library less than 5 miles from the community, allowing young and mature minds alike, to learn and grow. Longmont attracts superior employees and offers a wide array of jobs in industries such as aerospace, biotech, IT, and software developers. Pleasant Valley also has easy access to I-25 and 287, which makes commuting is a breeze to Boulder, Denver, Loveland and so many other cities. Call in today to find out why you belong in Pleasant Valley.